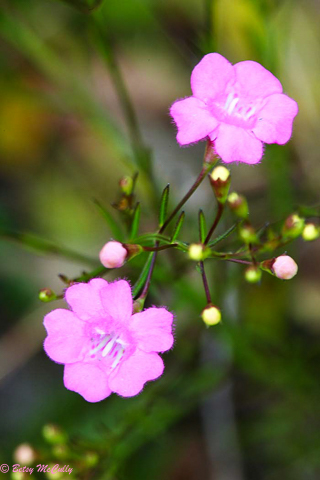 Sandplain Gerardia (Agalinis decemloba; previously Agalinis acuta). Also called Sandplain Agalinis. Orobanchaceae family. Rare endemic, endangered. Grasslands, barrens, sandy fields on Long Island. Hither Hills, Long Island, 2007.